Making Pre-studded Jewellery With Stone Setting , Small/ Medium / Large Scale Jewellery like Necklaces, Bangles, Idols & Handicraft Items etc. Advantage of Vacuum Casting hence Optimal Results. Instant Heating With finger tip Controls. Less oxidation Casting Due to Bottom pouring Technology. Useful for both Casting & Melting. Safe, Fast , Economical, Efficient and Simple in Operation. Energy saving flameless device and also 80% income tax depreciable. Heat and power loss reduced. 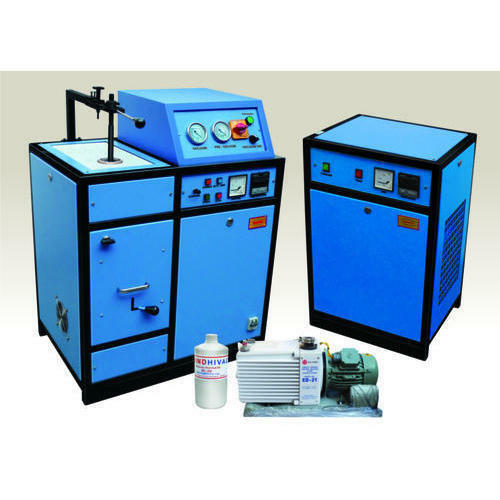 Manufacturers and Exporter of Induction Based Melting,Casting,Brazing,Hardening,Heating Machinery for Jewellery and Industrial Applications.